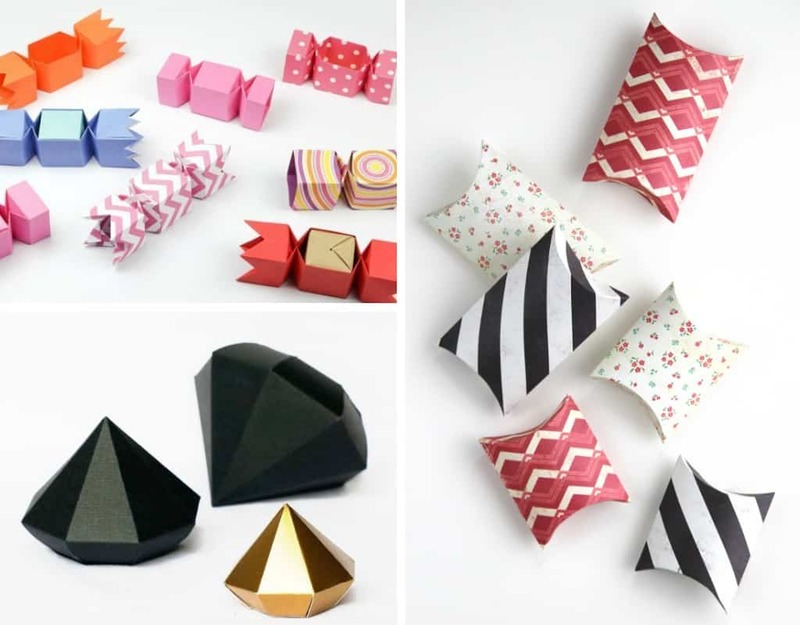 These beautiful DIY Boxes is perfect for small gifts or party treats are definitely easy to make! Who doesn’t love a customized gift box? You give a gift for your special someones and they’ll be surprised that the box is not a usual box but it’s something you made for them. Well, for me I would really appreciate it when someone gives me something that they made by themselves because it has a special touch to it. They make time to do it and it’s based on their hard work. As you know that the gift box below is a small sized box for small gifts like jewellery such as earrings, bracelets, necklaces or even rings. 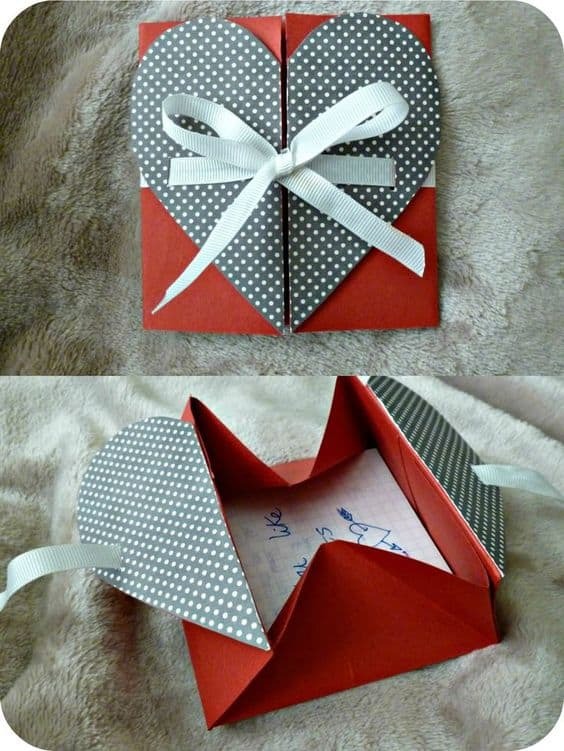 If you like to give small things to your special ones then this box is perfect for you! So, shall we see what ideas I’ve collected for DIY Small Gift boxes? If you happen to gift someone a jewellery gifts then this box is perfect for that. It’s easy to make plus you can put or stick a card on the inside of the box. It has 2 functions as a box and as a card, what more you can get? via Bodas Novias. I love how this cute and mini box looks. 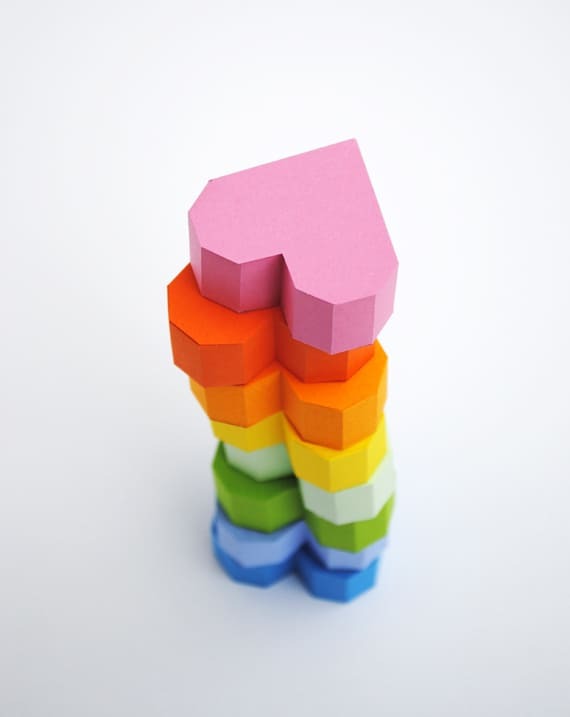 This is a perfect gift box for Valentine’s Day or Mother’s Day via Minieco. This one is super genius. It looks like a card but when you open, it becomes a box. Read the full tutorial via Little Limpet. This one may seem a bit difficult but once you download the pattern and follow the tutorial via picture. It’s actually easy to make via Hungry Heart. Perfect gift box for jewellery! 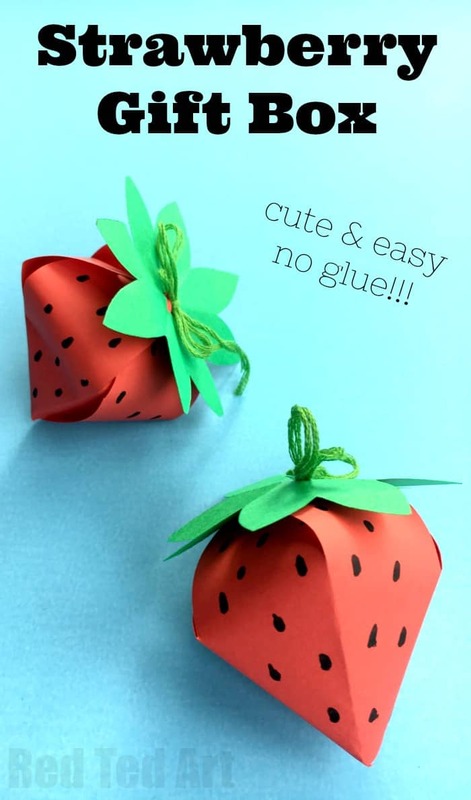 This cute strawberry gift is so easy to make because you won’t need a glue! Follow the tutorial via Red Ted’s Art. This box is a little big which is perfect if you need to give lots of stuff or you can also use it as a party favors box for cookies or candies. via Anita Y Su Mundo. Another easy DIY gift box because you just need to download the pattern and follow the tutorial in the picture via Lines Across. Pillow box is a classic. 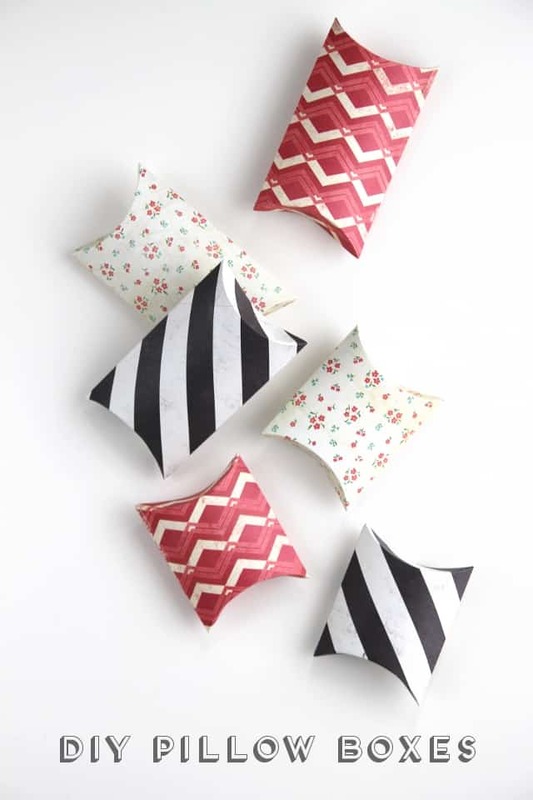 You can find this also in some jewellery store that uses a pillow box as their jewellery box via Gathering Beauty. Another medium-sized box you can use either for gift box or party favours. 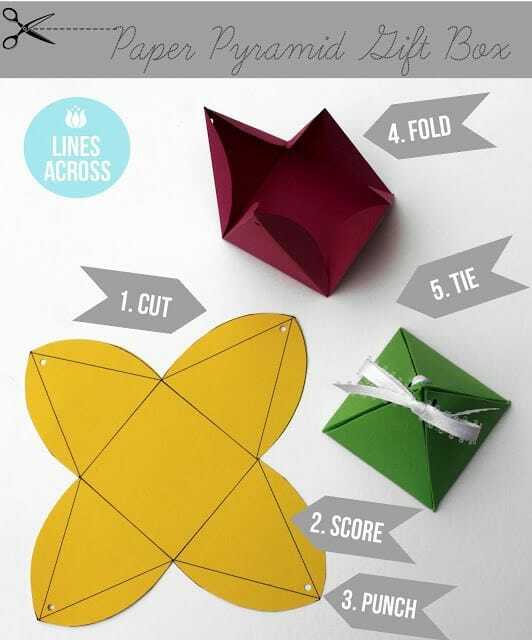 This box is the easiest gift box ever! With this iridescent paper cups and pink satin rope ribbons, you can make a holo gift box for party favours! Follow the tutorial to make this via Papermash. 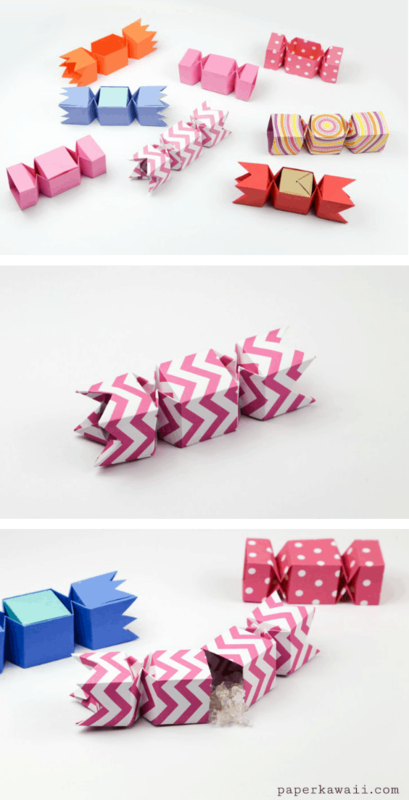 I am a big fan of origami so when I know that I can make a box with origami? My mind was blown. You can check out the full tutorial via Paper Kawaii. Loving this post? Share it and Follow me on Pinterest for more ideas and inspirations!